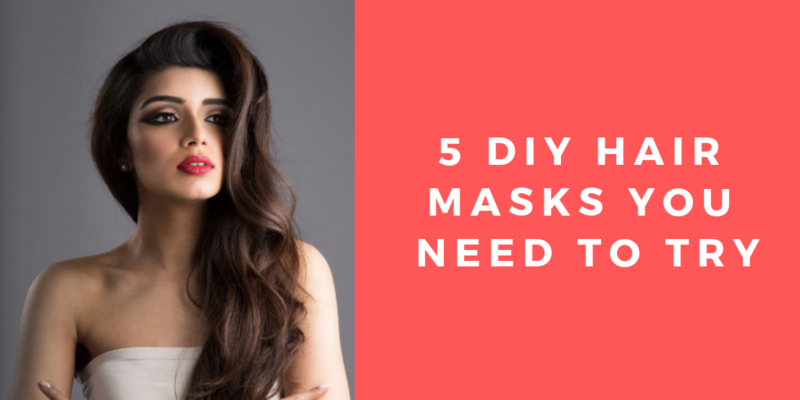 Whether you’ve got dry and dull hair or want that sleek and shiny feeling, we’ve got a fab range of DIY hair masks for you to try out! The fat from avocados helps to moisturise the hair and scalp. It’s a great source of protein, amino acids and vitamins, which helps to keep hair strong and healthy. The olive oil is very hydrating and helps to protect hair from becoming damaged. This is good if you use heat on your hair regularly. Honey is great for hair strengthening and locking in vitamins and moisture too. Spread the mask onto damp hair for 30 minutes, then wash off. Coconut oil is amazing for so many things! It nourishes the hair to make it grow faster and thicker. If you have dry and damaged hair, definitely apply coconut oil to your hair and keep it in overnight. Use a few tablespoons of coconut oil depending on how long or thick your hair is. Apply to damp hair and keep it in for at least 30 minutes – the longer, the better! Apple cider vinegar helps to exfoliate the dry and dead skin cells from the scalp, whilst removing residue and also boosting shine! If you use hair products such as hair spray, gel, mousse and dry shampoo, there can be small residues of product build up left on your scalp. The vinegar is perfect for getting rid of this build up, however if you have dry and damaged hair it’s best to avoid using the vinegar in case it dries out the hair further. Mix half a cup of Apple Cider Vinegar with 1 cup of warm water. You can pour this into a spray bottle or old shampoo bottle and apply to damp hair. After 5 minutes, rinse it out with warm water and condition the hair. This mask is perfect for dry hair. Not only will the egg nourish the hair with protein, but combined with the banana, it will hydrate and add moisture to the hair and scalp. Castor oil is amazing for hair growth and combined with the egg, it nourishes the hair and scalp and also prevents balding. Beat 2 eggs and add 1 tablespoon of castor oil. Apply this to your scalp and hair for a least 30 minutes, then rinse off. Don’t use any conditioner after. Tags: beauty, DIY hair mask, DIY recipes, hair, hair mask, Health.